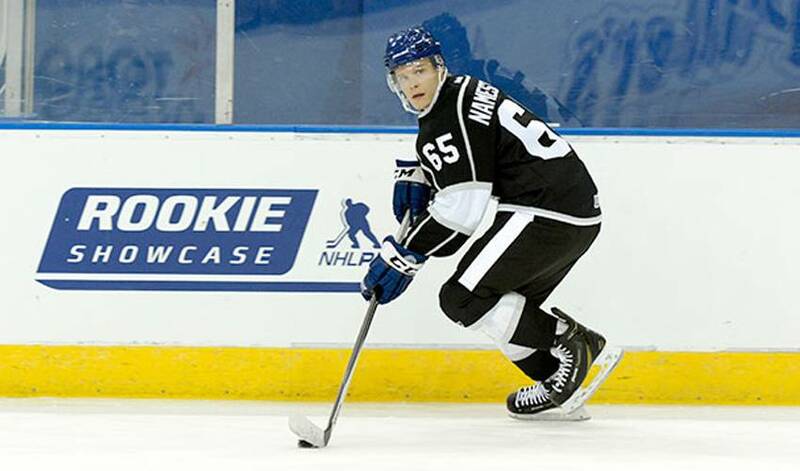 Although the calendar shows that it is still summer, things began to feel a little more like the start of another hockey season this past weekend as the 6th annual NHLPA Rookie Showcase was held in Toronto. Bringing together 33 of the top NHL prospects and rookies, the event provides a chance for the players to get acquainted with the NHLPA and for Upper Deck to have the opportunity to introduce them to the world of trading cards. Friday saw the event get underway, as the players arrived in Toronto and gathered at the Park Hyatt Hotel for some internal media interviews with NHLPA.com and NHL.com. The players spent time with Upper Deck, as the exclusive trading card licensee of the NHLPA and the NHL collected player autographs for memorabilia products and also put the players through their own digital media station. Throughout the day, the players also had their head shot photos taken by EA Sports, another licensee of the NHLPA and the NHL. Around the middle of the afternoon the players had a chance to participate in an NHL 15 video game tournament that EA Sports hosted. When all was said and done it was Chris Tierney who came out victorious and earned himself a PlayStation 4 video game console. Friday concluded with a dinner reception for the players and their guests at the Hockey Hall of Fame. The players were treated to a delicious meal in the ‘Great Hall’ and heard from recently retired NHL netminder Martin Biron, as he welcomed the group and gave some funny insight about his rookie experiences. Saturday was a full day at the Mattamy Athletic Centre (site of the old Maple Leaf Gardens), beginning with the players taking part in a general media availability session that lasted about an hour. A large group of hockey media were on-hand to have an opportunity to speak to these future NHL stars. Following the media component of the day, the players then transitioned into the various stations that Upper Deck had set-up around the rink to photograph these top prospects/rookies in their official NHL team uniforms, in shots that will be used for upcoming trading card and memorabilia launches. On top of having their photos taken for products such as their upcoming rookie cards, the players signed more autographs for memorabilia, showcased their shootout skills and were seen hamming it up while learning some important figure skating moves in one of Upper Deck’s more creative stations. At the end of the day, as is a tradition in the event, the large group of players gathered on-ice for a fun game of shinny once their work was done. The NHLPA Rookie Showcase was once again a success on all levels, with Upper Deck pleased to have access to so many of the game’s bright young prospects and rookies in one setting so they could collect important photos and autographs for their various trading cards and memorabilia products. On the players side, it was another chance to interact with their peers and have their first real professional experience, all under the NHLPA banner.